Item Type: Tap Connector. 1 X Thread connector. Rubber ring on the adapter is to prevent leaking. Thread linking faucet makes firm connection. Made of premium brass, durable for long use. Material: Brass. 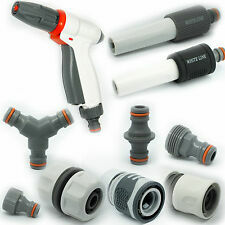 Drip Irrigation System Kit Self Watering Garden Hose Sprinkler Nozzle Set. Suitable for orchard or greenhouse, agriculture, lawn, garden, sprinkler irrigation. Auto watering system, a good DIY tool kit for watering plants and flowers. Practical, suitable for grass irrigation, sprinklers and dripping house, etc. Switch type: auto on/off manual operation. Suitable water pressure: 0~400KPA. Suitable water temp: 0~4 0 ℃. Battery: 2x AAA 1.5V dry cell(not included). Size:500 150mm. Material: Plastic. Color: green. 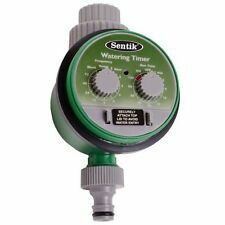 This product allows you to automatically water your plants daily with several options on frequency depending on your needs. Easy to assemble and only requiring two AA A batteries (not included) this is sure to be an essential for any garden. 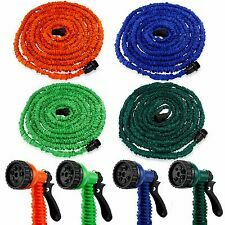 100x Adjustable Irrigation Sprinklers Watering Drippers Emitter System Drip Head. Size: 2cm Length. We want to make sure you are happy with our item. Goods without RMA number will NOT be accepted. We'd like to settle any problem in a friendly manner. Perfect watering tool for potted plants as a succulent plant. Type of object: watering bottle. Note: Light shooting and different displays may cause the color of the item in the picture a little different from the real thing. 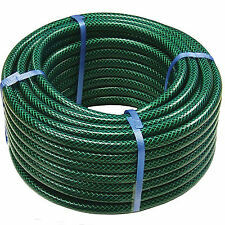 This kind of solid poly micro hose is used widely with drip irrigation for main and lateral water lines. 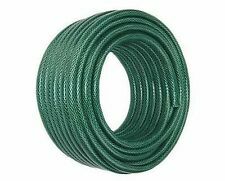 Functions: agriculture, lawn, garden and industrial irrigation hoses;. 10M Hose Drip Tubing. Material: PVC plastic. 1 x 10m Water Tube. Water Tube Length: 10m (Inner 3.5mm, Outer 5mm). You can scan the QR code to watch the video of installation and other setting. 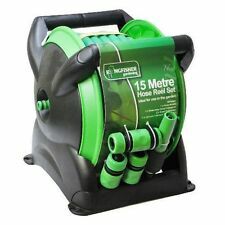 DIY set, 15 water links can be watering 15 flowers or large range of grass. 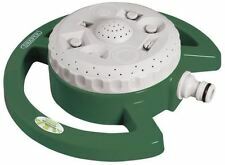 Adjustable 360 Degree All-round Spread Watering Dripper is a great accessory for garden irrigation. Dripper Height:3cm/1.18 "(Approx.). 20 Watering Dripper. Suitable for potted plants, small trees or greenhouse, agriculture, lawn, garden, sprinkler irrigation. 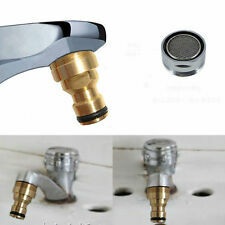 Fitting a hosepipe to a mixer tap. tap thickness 43mm. tap thickness 14mm. Simply slots over the end of the tap and is clamped on by tightening the top. 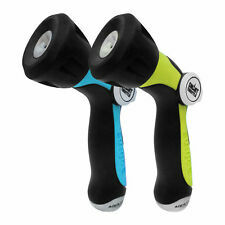 Great for use where you have a hose fitted with a push-on quick fit connector. 1pcs Watering Spike. Accurate amount of water, providing different amounts of water for different plants and flowers，Other watering devices are either too little or too much. If the newly grown leaves are yellow, it may be the result of over-watering. 1 x Tap Adapter. Constructed with solid brass for long durability and leakage prevention. Material: Brass. Splits one water flow into two to satisfy your using demand. If you do not receive our reply within 48 hours, pls. (3/4" Water Impact Sprinkler Full Circle Garden Lawn Grass Irrigation Head. Item included: impact sprinkler x 1. 3) The sprinkler head can be changed without any tool, easy cleaning. Perfect for irrigation of garden, courtyard, lawn, flower, shrub, trees, farmland, vegetable field etc. 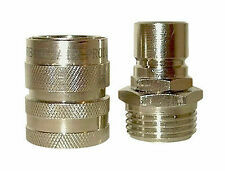 Size:heavy duty bsp adaptor 6 0 mm. 1X15mm water tank garden hose adapter. Hose connector:15mm. Color：black. We will try our best to reduce the risk of the custom duties. before you buy it. 10 Drippers. Suitable for Irrigate small yards of plants, shrubs or flowers, Garden flower beds, shrubs, trees automatic irrigation and so on. Note: The real color of the item may be slightly different from the pictures shown on website caused by many factors such as brightness of your monitor and light brightness. A venturi is a device which creates a vacuum when fluid flows through it. The fluid which creates the vacuum is know as the motive fluid. The motive fluid for irrigation injectors is the irrigation water itself. 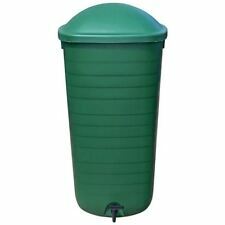 IDEAL FOR WATER BUTTS HOWEVER HAVE MANY USES IN AND AROUND THE GARDEN. Deep bed filter, effectively filter impurities. 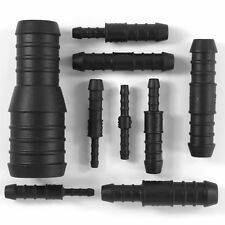 Heavy duty plastic with maximum UV & oxidizer protection. Anyway we will try our best to avoid this kind of thing. Great for plant irrigation system, such as drip head, nozzle fixing. Used for fixing the 4/7mm drip irrigation tubing pipe. Gardening automatic watering flower fixed inserted rod,A great tool for Irrigation. This stylish indoor watering can will ensure the house plants and herbs are suitably watered. The narrow spout and high handle are specifically helpful when watering hanging or tabletop terrariums or pots on high shelves.